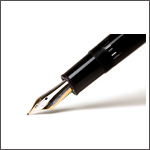 The SELF DRIVE Act (H.R. 3388) makes the National Highway Traffic Safety Administration responsible for regulating self-driving cars, preempting state and local standards. Furthermore, the bill would allow automakers to obtain exemptions to deploy up to 25,000 vehicles without meeting existing auto safety standards in the first year, a cap that would rise to 100,000 vehicles annually over three years. 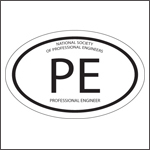 NSPE has been a leading advocate on the need to place the public health, safety, and welfare first, and require a licensed professional engineer to play a key role in the development, testing, and safety certification of autonomous vehicles. This legislation fails to address the major safety, technological, and ethical challenges that must be considered before these vehicles are deployed. NSPE, therefore, urged defeat of the bill. Unfortunately, the legislation was approved by a voice vote on September 6. The bill will now go to the Senate where separate legislation is being developed. NSPE will continue to proactively advocate for the role of the professional engineer in ensuring the public health, safety, and welfare is of paramount importance in the deployment of autonomous vehicles.